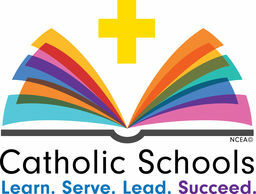 St. Catherine of Siena provides after school Extended Care for the time of dismissal until 6:00pm. The program is available only to St. Catherine students, grades K-8, and is operated on a non-discriminatory basis, equal treatment, and access to service without regard to race, color, national or ethnic origin. Students must register for extended care on the first day they attend, whether on a regular daily basis or drop-in status. Parents must submit the Extended Care Medical Form available from the Extended Care superviso or on the website, and pay the one-time $25 registration fee per family. Students are to bide by the same expectations of behavior given a classroom setting. Extended Care supervisors have the authority to implement school discipline procedures if necessary. While in Extended Care, students complete homework, are given a snack, and can play both outside and inside. Extended Care is hosted primarily in the parish auditorium. The fee for Extended Care is $5.00 per hour or fraction thereof. Extended Care fees are billed monthly, and payment is due on the date indicated on the invoice. Extended Care payments must remain current. If payment is not up to date, students will not be allowed to participate in Extended Care until all charges have been met.